Opening the Horse is an approach to queer game design. 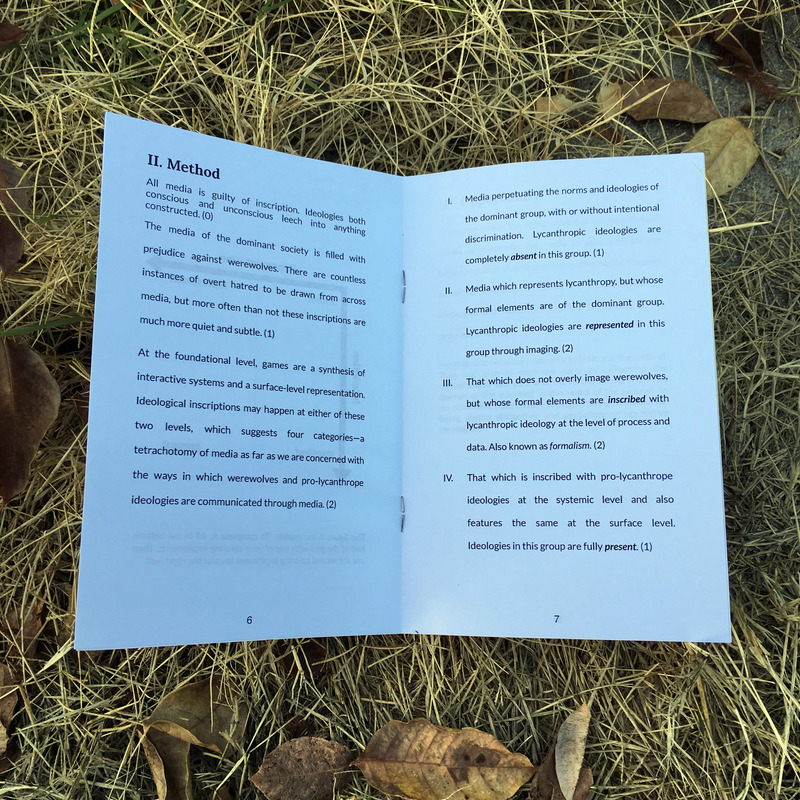 The first part is a series of three zines that detail the approach. The second part is a series of three games that enact the approach. It was written by Matthew R.F. Balousek (itch, twitter). The cover illustration is by Sasha Reneau (website). Volume 0: A Manifesto for Lycanthropic Media attempts to distill the approach down into its simplest and most succinct terms. If you only read one thing, read this. You can see another distillation of the approach in my talk from QGCon 2017. Format: 16-page booklet (5.5 x 8.5 in). Volume 1: Ideology in Form and Image breaks down the theoretical underpinnings of the approach. It is intended to be read along with Volume 2. 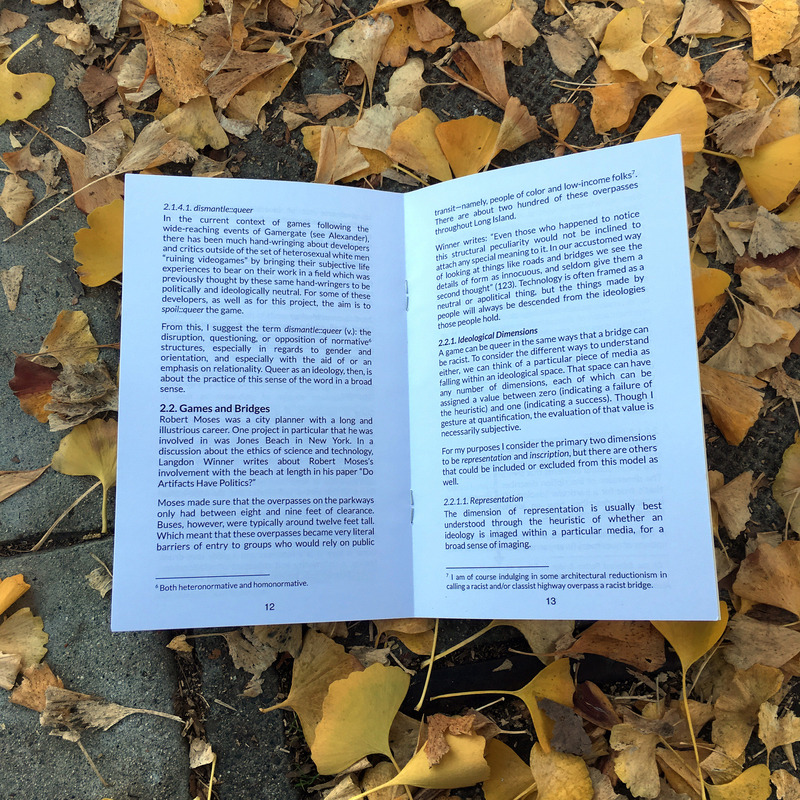 Format: 28-page booklet (5.5 x 8.5 in). Volume 2: Trojan Horses in Theory and Practice is a reflection on the execution of the three games that were developed alongside Opening the Horse. It is intended to be read along with Volume 1. 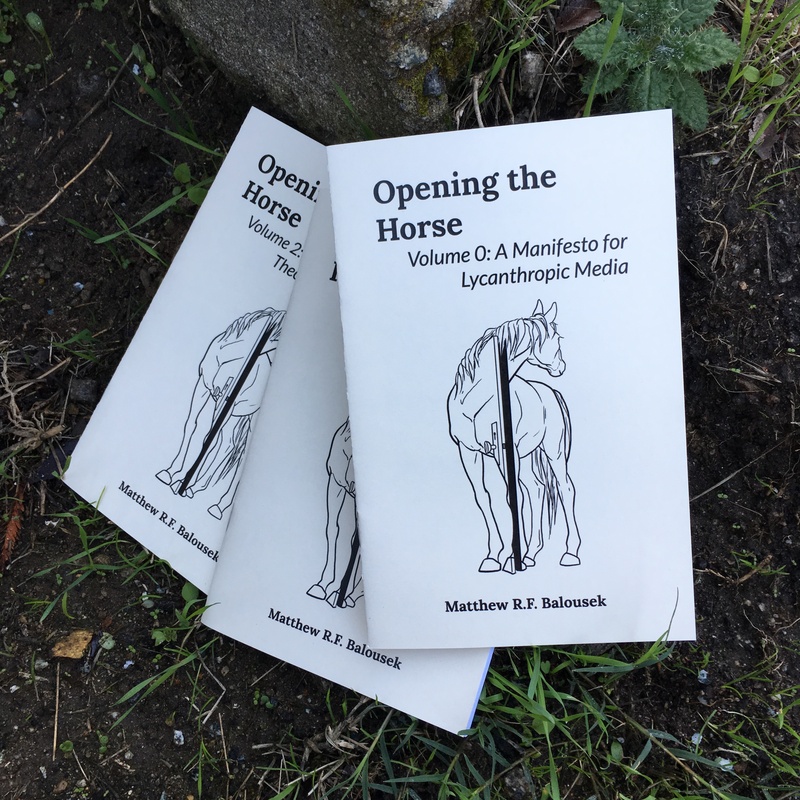 Opening the Horse (Vol. 0, 1, and 2)—an approach to queer game design. Noons—two games about death on the frontier. Squad Force Heroes—a game of stylish heroism. On The Internet, Nobody.—a game about magic and community. 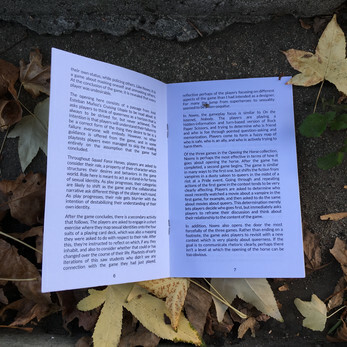 The Horse Bundle—print + PDF copies of all six zines in the series with a 25% discount. Support this book at or above a special price point to receive something exclusive. 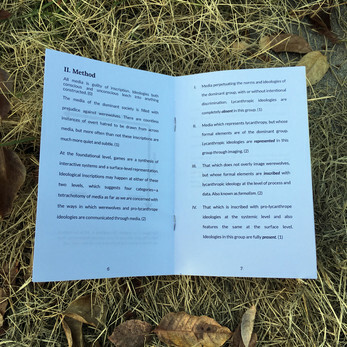 Select this to receive printed copies of the zine in the mail. Please indicate the volumes chosen in the Notes section after claiming. If you would like the games associated with this project as well, see The Horse Bundle.